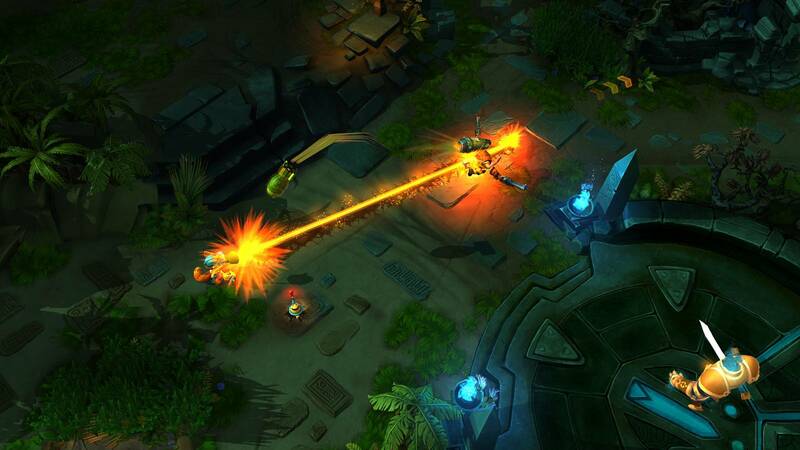 In Strife players will find traditional MOBA gameplay combined with new mechanics and twist on popular features to bring a different style of gameplay with classic familiar roots. Strife is accessible on a variety of platforms and can be played completely free with players having options with premium currency for some in game purchases. Strife is a classic MOBA using a three lane map where players must battle in group combat trying to push past enemy defences consisting of powerful turret towers, waves of minions and other Hero players in an attempt to make their way into the enemy base and destroy it. During the game players will level up and unlock and upgrade new abilities as well as acquiring items to increase the attributes of their chosen Hero, each character having their own unique skills and powers to help them in battle. The game offers up fast-paced and tactical combat and requires strong teamwork to try and defend against the opposing team as well as pushing through to victory at the same time. There are 20 different Heroes available in the game that are broken down into various primary attributes, with different Heroes typically having two or more main focuses. Players are able to Min-Max their chosen character into a variety of different templates, making them useful for different roles such as making an Attack focused character a strong melee assassin or a powerful tank able to soak up damage. As well as player companions in your team all members benefit from having a pet ally, useful buffers that can aid a player in various ways depending on the chosen pet, offering options other than simply damaging enemy opponents. Pets will level up alongside players and become stronger with each player’s account level, unlocking new abilities to assist players. Players can only choose one pet to accompany them in a game so must choose one that best suits their style of play. In the case of Tortus the turtle he is able to boost a players survivability with his regeneration abilities, damage blocking and Max HP passive boosts. A creature like Mystik will do extra damage to any enemies a player targets as well as allowing magic users to quickly regenerate mana and amplifying the amount of magic damage they do in an attack. The primary items in the game are made up of Health, Mana and Strength components that can be created to individually customise a player, where players are able to craft as many different items as they like and bring four of them into a match to aid them in the battle. Looking for more Free MMOs,Free MOBA Games games?